An extremely common question that pops up with a lot of new flexible dieters is what they should be looking out for on the MyFitnessPal app (great question as it can be confusing). Step 1. Calculate your macros using my free calculator OR if you have been given them by myself or another coach already then you’re good to go. Step 2. Download the MyFitnessPal app and fill out all the pointless info they will ask you for (the free version is fine, no need for the paid version). Step 3. 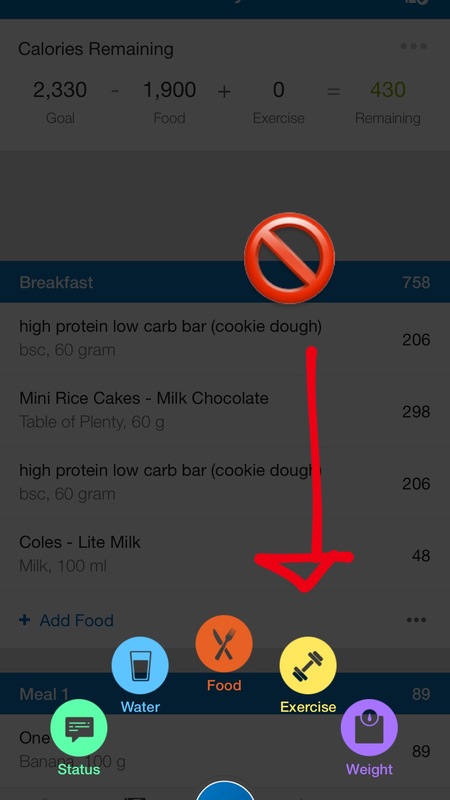 Open up the app, now regardless of what the app asks or tells you to do calorie/macro wise, you need to know your numbers (you should already know these from step 1). Step 4. Go into your daily tracker and track your foods as you normally would, plugging in everything that you eat or drink that day that contains calories (aside from green veggies in my opinion). Step 5. 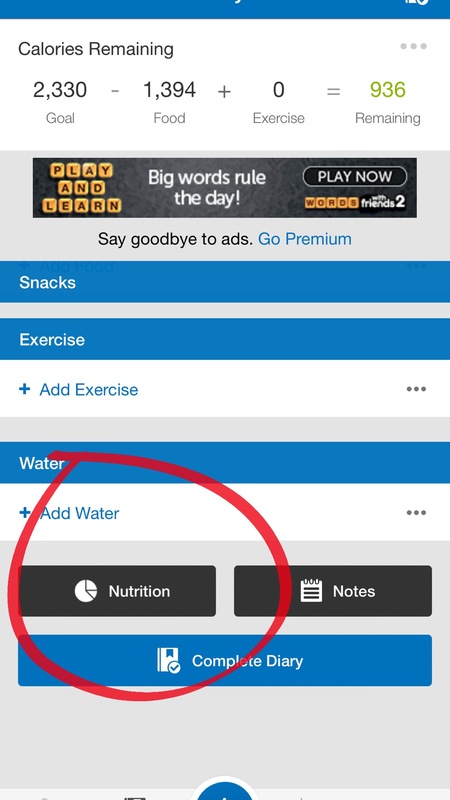 Down the very bottom of the page if you scroll down there is a button called ‘NUTRITION’, click on that and it will bring up your daily totals. Step 6. Disregard what the app says you ‘should’ be aiming for macro wise, instead look at what your totals are. Make sure that by the end of the day the protein, carbs and fats are as close as possible to your custom macro goals. 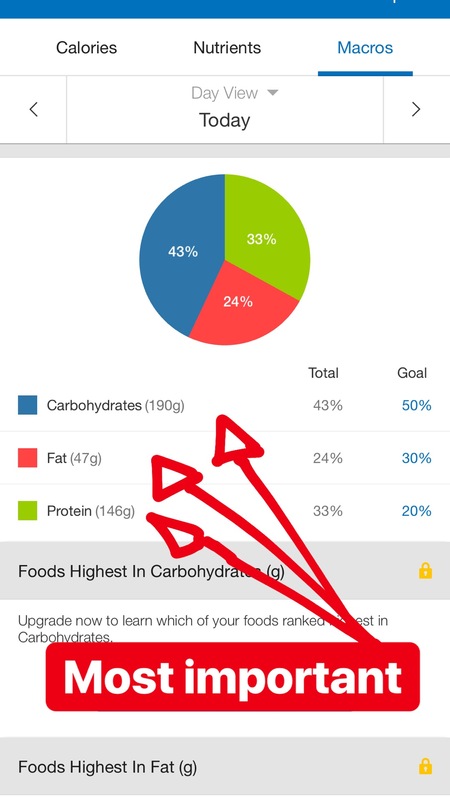 If your macros are on point, your calories will be too, macros are the more important number to keep track of in the app instead of calories (unless you’re drinking alcohol). Side note: You do NOT need to add in exercise as your calorie intake is calculated using your weekly energy expenditure average 🙂 You also don’t need to add in water lol.